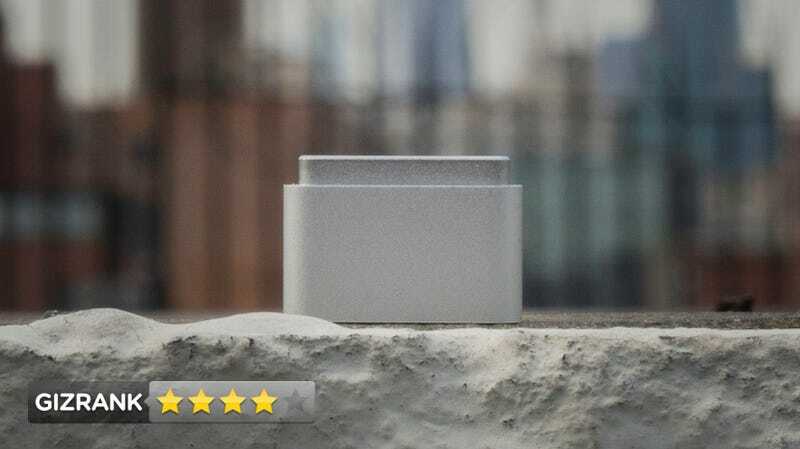 Apple MagSafe to MagSafe 2 Converter Review: Couldn't We Like Tape This Thing on or Something? Tiny MagSafe. Tinier MagSafe! Really tiny converter. LET'S DISCUSS. A little magnetic converter to make your old charger work with your new computer. People with old chargers and new computers. It's fatter than you'd think, if you're dumb like me and didn't realize it has to encircle the fat old MagSafe. You stick it on the end of the thingy and then stick the whole thing in your computer. Not having to spend $80 on a whole new adapter. It's on there pretty tight. Stayed on while yanking the cable out of my laptop at the most this-is-definitely-going-to-come-off angles I could think of. Fits inside of glass Coke bottle but very hard to get out. Yes. It's $10 for the use of your old gear with your new gear. This is a total courtesy product from Apple, who could have just told you to go sod yourself and buy a whole new charger.